Hardly had we told you about the new Wald International body kit for the Mercedes GLE Coupe that the Japanese tuner added another work to its portfolio. 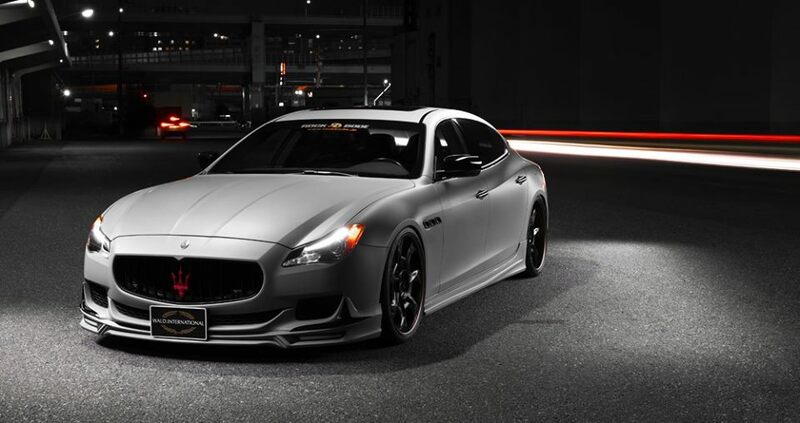 This time the firm tackled the Maserati Quattroporte luxury sedan/saloon, giving it a new stylish appearance. Just like that last time, the tuner surprises us with the unusually modest package. If you were looking for humongous bolt-on fender flares and other JDM stuff like that, know that you will not find any of it here. What the Italian super sedan gains instead are a prominent front spoiler, new side skirts, a rear apron, a diffuser and an F1-style brake light located in the middle of the latter. The overall impression of agility and dynamics is further accentuated by a magnificent set of 22-inch Vorsarino V12-C aluminum wheels with a chrome look. The rims sit perfectly in their respective arches due to the lowered suspension. And that is it for the SPORTS LINE Black Bison Edition kit produced by Wald International for the Maserati Quattroporte. There are no fender flares included, and, frankly, none of us misses those.